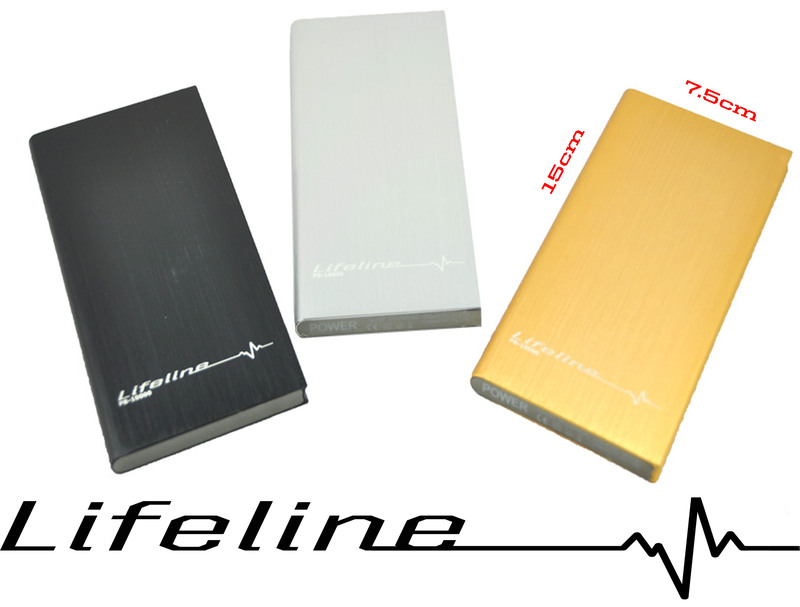 Convenient Mobile Device Charging with a Powerbank Lifeline. Powerspark’s latest new product range is an all new selection of portable power sources. 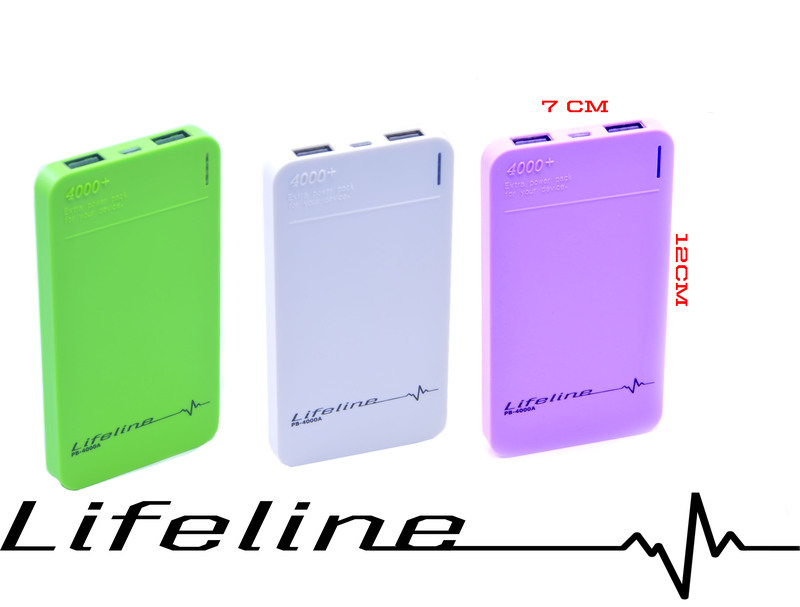 Lifeline’s smallest model will fit on a key ring or in your pocket. Our Lifelines are incorporated with brand new battery tech called ‘Li-Po technology’ (Lithium polymer). This is the leading battery tech so do not confuse it with the 18650 type batteries (cheaper Chinese versions). Owning a Powerbank will mean that when on the move your electrical devices will never be without power again. The Lifeline can charge you mobile phones, laptop computers, tablets, gaming devices and mp3 players and nearly any mobile device. 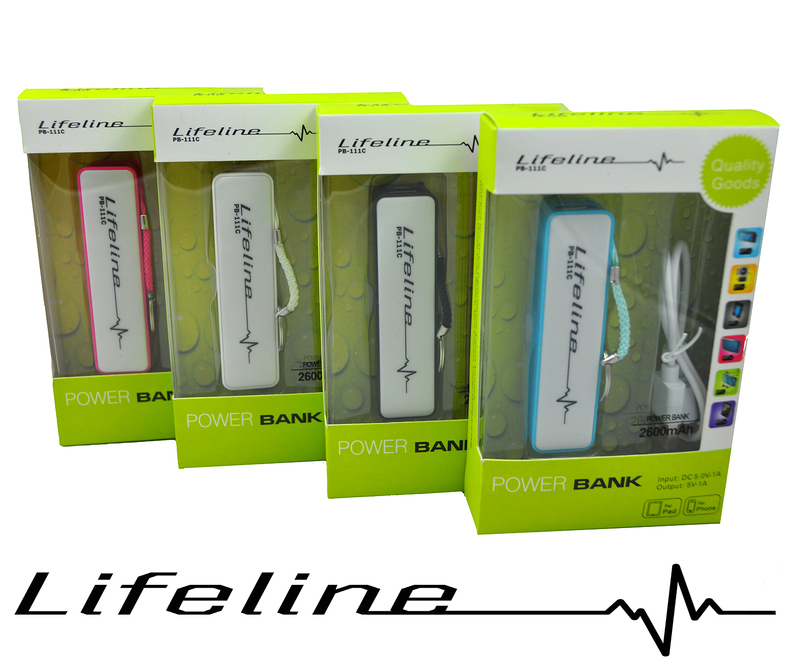 The Lifeline range is sure to give you power wherever and whenever you may need it!! The Powerbank PB-111C is very lightweight and only weighing at 68g it can be attached to a set of keys, lanyard or slipped in the pocket for the ultimate in portability and would take approximately 3 hours to fully charge this device. One charge lasts up to 6 months – we recommend a recharge every 3 months to keep it at peak charge. This model would suit a person who might be running out of battery power at the crucial moment and needed a top up to see them through the rest of the day. The PB-111c can fully charge your phone and still have power left to give another device some much needed power too. This Powerbank comes in a variety of colours and can charge a wide variety of products including IPhone, Samsung, Mp3/4 players and also portable gaming consoles along with other portable electrical items. The Powerbank PB-4000A is also very lightweight and portable, comparable to the PB-111C – weighing in at only 103g and would take around 5-6 hours to fully charge this device from a mains source and one charge lasts up to 6 months, although we recommend a recharge every 3 months to keep it at peak charge. This particular unit is very sleek and stylish and will easily fit into a travel bag or handbag for maximum portability whilst on the move. We would recommend the PB-4000A if you’re travelling long distances, on business trips, on holiday or even at outdoor events such as festivals or exhibitions where you are likely to become stuck without battery on your devices when crucially needed. The PB-1000 is designed for the heavier gadget user who constantly needs a battery top up. This Lifeline will only take 10-12 hours to fully charge from the mains and the unit still remains lightweight at only 215 grams – also sleek enough to be easily carried around in a bag or glove box for ease when out of the home. The PB-10000 has a higher output compared to the other Lifelines which means you can not only charge your smart phone but also charge tablets or run laptops from the high volume Lifeline and one charge lasts up to 6 months. We recommend a recharge every 3 months to keep it at peak charge. The PB-10000 features twin usb ports to charge multiple items simultaneously, meaning you, your family and friends or work colleagues will never be without power again and with plenty of colours to choose from, this Lifeline is the top of the range.